Can Carrot Oil Give You Silky Hair All Summer Long? Forget coconut and argan oil. 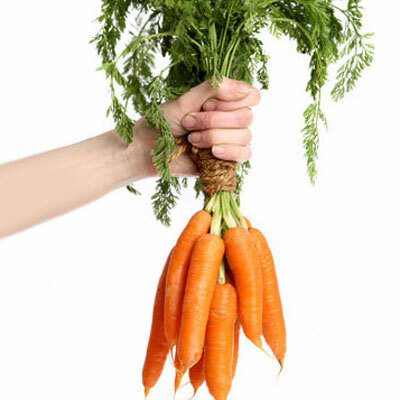 For the balmy summer months, you’ll want to pull a Bugs Bunny and stock up on carrots for your best hair ever. Specifically, it’s super-affordable carrot seed oil that holds plenty of promise for those suffering from dry, dull tresses. Writer Danielle Guercio from xoVain recently reported on how carrot oil, which costs a mere three bucks for a small bottle, protected her hair against the damaging sun rays and salt at the beach. Argan Oil: What’s ‘Oil’ the Fuss About? “Carrot seed oil is a big winner if you will be outdoors, because it’s heavy on vitamin A, a carotenoid which boosts sun protection, especially when paired with the vitamin E content of pecan and rosehip oil, as well as added tocopherols,” says Guercio. “I applied it before, during, and after all sun and sand activities, and instead of having a broom for a ponytail after washing, I had dreamy, soft waves that made me forget all about my frozen tresses from January,” she says. “It’s as if it never happened, and I plan on maintaining that through this summer, which the Farmer’s Almanac predicts will be hot hot hot!" Refinery29 also adds that carrot oil, especially when blended with other nourishing, natural ingredients, like soybean and safflower oil, can moisturize dry hair. And several celebrity beauty stylists agree. A wallet-friendly product that protects and promotes growth? It may sound too good to be true, but Meddick advises women with dry brittle hair to use carrot oil as a styling product, specifically on the mid shaft to the ends, for maximum results. And if prone to breakage, it can also be used as a weekly hydrating conditioner by applying it on the most parched areas, leaving it on for at least 15-20 minutes before washing. “For women who have thinning or very fine hair, I would recommend using carrot oil as a growth treatment,” says Meddick. Pasquale Caselle, International Creative Director for IT&LY Hairfashion, agrees with the findings and recommends carrot oil to clients who use heating tools frequently, which can lead to split ends, dryness, and long-term damage. He recommends massaging the scalp with carrot oil to stimulate growth and promote good hair health. While this vitamin-packed oil sounds like the perfect summer cure-all for every hair type, some suggest thinking twice before slathering it on. Celebrity stylist Mika Fowler from Kim Vo Salon in Beverly Hills does believe it can eliminate breakage, protect from sun rays, and promote a silky texture, but it won’t solve every problem. “Many people believe carrot oil will demonstrate hair growth, but it’s not a cure for short hair. This product is not meant for growth,” says Fowler. “If not used properly, it can also weigh hair down. Too much of the product can make it appear greasy. It’s very moisturizing, so a little goes a long way. The recommended usage is five drops to be worked throughout the strands of your hair. It also has a strong, earthy smell." Even Caselle admits that carrot oil may not instantly win everyone over, despite its many benefits. Despite its challenges, stylists agree that carrot oil is worth making a summer staple, as long as it’s used in moderation.